A cardinal sings his song this morning, as the sun begins to peek over the horizon. The last time I saw it shine with this golden glow, I was watching it set in Uganda, through a bus window. This day is full of promise. What will we do with it? While I have other stories to share from my recent journeys, I feel compelled today to talk about a dream I had the last morning I awoke in Mexico. I hold this close to my heart and have not been sure I would write about it. We had arrived back from our time with the Totonacs around 12:30am. We had gotten to bed within an hour after. I had set my alarm for 6:30am. I had been invited to go with Pastor Alba to a prayer meeting at 7:00. I did not make it. I drifted back to sleep. A deep sleep that left me feeling sluggish when I awoke (or maybe that was the cumulative affect of travel on my old body). As my dream began, I felt a strong sense of knowing it from before. It was if I had seen it play out in a movie, and was familiar with where it was headed. I was in a restaurant with BJ. Dreams are a place where no sense has to be made of occurrences while they are in motion. We are left to figure them out afterwards. BJ was around 10 years old. He was small for 10. The two of us were eating, when I saw the danger coming. I wish I could remember much about him, but I cannot. As the dream unfolded, the urgent sense of deja-vu, caused me to focus elsewhere. I am pained to say I can remember little of my son from that dream. Men with machine guns, masks and dark clothing were headed toward the restaurant. Immediate action had to be taken. My senses of imminent danger and a movie replaying in my head were intertwined and clouded my clarity. I rose to my feet and ran to where BJ was sitting. I bent over to scoop him up. I had to grab him and run for the back and I had no time! I knew already where the back exit was, but could not explain how or why! With my hands on him beginning to lift, the fog cleared and clarity returned. Seated in the booth behind him was another boy a couple of years younger. Both boys stared up at me as if seated side by side. This boys mother was not at the booth with him. I did not know where she had gone but believed her to be in the bathroom. Instantly, I knew what I had to do. I could not believe it. I was overwhelmed. I released my grip on my son. He looked at me with a knowing look. The front door exploded as I grabbed the younger boy and ran for the back door. I cannot explain what happened in the moments or hours between the exit of that diner and when I next encountered others. I only know it was dark when we were eating, and in my next memory it is light. A mother ran at me screaming. "He has my son, he has my son!" Her cries for help were answered by one of the many policemen who had responded in the aftermath of the mass tragedy. I could tell from her pleas that she thought I had abducted her son for perverse gratification. I had not. As he was ripped from my arms, I began to calmly relay the story. I saw tragedy speeding towards us during dinner. I had risen to grab my son and run to escape certain death. I did not know how or why, but I knew those who did not flee would perish. With my hands on my son, the all consuming fear gave way to understanding. I let go of my son. I looked this little boy in the eyes and grabbed him instead. I looked the mother square in the face and said. "I knew that if my son perished, he was ready. I knew my son had given his heart to Christ." Her emphatic judgmental glare waned a bit. "I did not know if your son was ready. I did not know if he had yet given his heart to Christ. I knew I had to bring your son out, because he may still need to be saved." Her entire body language relaxed. The officer took a step back. Thanksgiving was now her expression. I began to share (and here is the part that doesn't make sense, yet it does) about my sons journeys to Peru and impending illness that had claimed his life. I began to talk about our book which relayed his story. I was quickly interrupted by the officer. "That was your son? I read that book! I cannot believe that was your son." I couldn't believe it either, because I thought I had just left him inside the restaurant...and he was five years younger. I awoke from my dream and began to sob. How could I trade my sons life for the life of one I did not know? I didn't care that it was right, I wanted a few more minutes with my son. I couldn't even remember details about him from the dream. I knew he was with me, but I didn't pay close enough attention to him. I lived those preceding moments the way most of us do...not paying attention, because there is always more time! There is not always more time! This dream is about God's Son, Jesus Christ who died for your sin and mine. He died that others may have life. His will is that we walk in obedience to His Word and share His love with our children, their friends, and those we do not know, but He opens doors of encounter with. Until we are willing to place our own children on the altar of sacrifice, until we are willing to climb up on that altar ourselves, we will not be effective for Him! 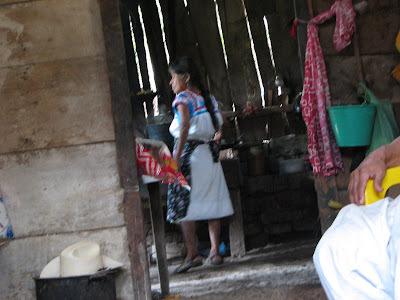 This is a traditional Totonac home. Inside, I snuck some photos (not great ones). The couple was precious. You can see the man sitting in front of bagged and stored grain (corn), along the wall and under blankets. His wife is in her kitchen. I awoke on the mountain at around 4:00am as a rooster began to crow. It sounded like he was sitting on the bed next to me. 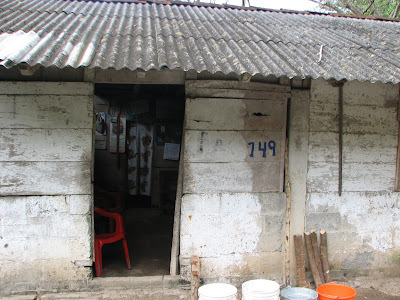 It was my first night in Cerro Grande, and came unexpectedly. We had gone to bed around 1:00am. I drifted back to sleep, and was then awakened by pouring rain on the tin roof I slept beneath. We had traveled nearly 20 hours from Nuevo Laredo, Mexico to our mountain top perch. We were under the same roof as the pastor of the local church and his family. The church had been started by my traveling companions, who I hoped were still asleep somewhere nearby. The children woke near 6:00am and began to be...well, children. It was good to hear their clamor, but I fought to gain a few more moments of rest. Light began to penetrate my room. I covered my head to erase it. My translator slept near me and seemed completely unaffected by all of this. I was jealous. I rose a bit later and headed out of our curtained partition. I found Pastor Alba (my friend and traveling companion) and we sat down in and adjacent room. We each studied our Bibles. We were pleasantly surprised when our hosts brought us coffee and some form of pastry. It was completely unexpected, but greatly appreciated! As I studied, someone in a home nearby was playing native music. It was the first time I'd ever heard it, but it soothed my soul. I felt it was a mercy from the Lord. I had no idea where I really was. Cerro Grande can't be found on any map. It's near Coyutla, but a small enough pueblo to be ignored by cartographers. I stepped outside for a moment. That is a somewhat relative inference, as there is no clear separation between indoors and outdoors in most of their homes. We were atop one rise, but were surrounded by taller peaks. They were enshrouded in mist from the rainy morning. Lush green gave way to smoky grey tufts of ascending and descending clouds which seemed to be playing "hide and seek" with the mountain tops. It was a breathtaking sight! Finally after all had arisen, we sat down to a second breakfast! We were being treated far too well. After that, we met with the pastor for a time, and then decided to hike up the mountain to pray over some of the local people. Each home down the road, sat either above or below the narrow street. This entire village was built on a steep mountainside, and one had to climb up or down to visit anyone in their home. Every home seemed to have accompanying land where vegetation had been cleared and corn was being grown. I am from Indiana, a corn growing state. But there, they grown corn on flat land. Here, there was no such luxury. The corn was growing on steep banks. We reached the place down the road where it was necessary to climb. We went off road and began to hike up a steep narrow trail. The scenes before me reminded me of movies I had seen from the Vietnam War. We had entered a jungle. AS we climbed, we passed coffee bushes, vanilla trees, corn, and every fruit imaginable! These were all intermingled with plants I could not identify, which were native to the area, and competed for light, moisture and nutrients withe desired crops. This didn't look like any farm in the US. There was no rhyme or reason to where the plants were growing...but they were present, and did belong to one of the families whose land we were passing through. When we arrived at our destination (see photos above), we were greeted by a friendly elderly couple. They invited us into their home whose door had long since hung on working hinges. A dirt floor hosted us. They produced chairs or a bench for each of us to sit on. I felt sure I was the first white man to breach their entryway. They were precious, but had significant need. The husband had physical problems with his knees. One did not have to stretch to understand that on this unforgiving terrain. Still, he did not let it keep him down. He walked with struggle and probable pain, but his will superseded his ailment. His wife was tiny. Her face had long been kissed by the sun, and had deep lined grooves that scurried from place to place. Every one would tell of a long journey, given the opportunity. Soft, supple leather did not glow as uniquely. After our visit, we prayed over them. What a privilege! I am sure I received far more from the experience than they did. As we began our descent, I need to tell you something. Most of us who speak even a bit of Spanglish, may be familiar with the word "lociento." It means "I am sorry," in English. In Spanish, it literally translates, "I feel it deeply." We are carefully climbing down the only available path. Many places there are rock steps which have been purposely placed. They are covered with fallen leaves and all of them have been made unfriendly by the significant rainfall. We choose each step with care. 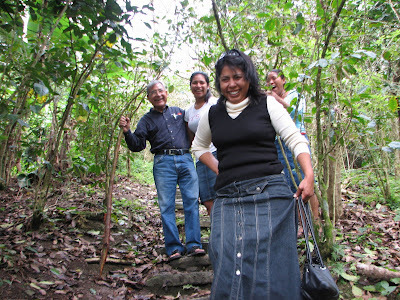 Two of the ladies with me, take turns hanging on to Pastor Alba, who is not a young man. He was very comfortable with this, and joked most of the way down. At one point, Anabel, my dear friend and primary contact was in the path in front of me. Much of the way the path was single track (one person wide) and we had to take extra care. The jungle was dense and we never knew what might make a sudden visit. We had just passed a spring. A pipe had been connected so one could drink from it. I was told it was potable, and I believe they wanted me to drink from it. I had done so in Africa, but here I had my water bottle with me, and reminded them that I was fine. Interestingly, none of them drank from it. Just after this, Anabel suddenly dropped out of my line of sight. Now were hiking single file, descending steep terrain, but her sudden disappearance came with a loud thud and shrieks. She had slipped down on the slick path, and landed on the edge of a flat rock and then bounced down two more that had been set as steps. I was very concerned. She was fortunate that she had not gone cascading much farther down! I pushed my way past her to come around to the front of her. She was crying and laughing, simultaneously. "Oh Anabel, lociento mucho!" I said. She quickly fired back, as she struggled to stand, "Lociento mas!" Our friends began to roar with laughter as she struggled to stand. Tears raced down her face and pooled in her laugh lines. She found humor in her pain. She had just responded to my "Anabel, I am very sorry," with her own, "I feel it more!" Her countrymen found this hilarious. It had to be explained to me, amid their attempts to stay erect. It is so easy for things to get lost in translation. Too often we miss the main points because of our lack of true understanding. I learned things about the language in this moment that I will never forget! This was true bonding time for the five of us. Though we had already covered many hours and miles, these were the moments that we truly came together and understood our purpose. What a blessing to walk in simple obedience! I have scrolled through many pictures this morning contemplating both recent trips. I am overwhelmed at all I have seen. It is hard for me to believe all the Lord has led me through over the past month. This journey is amazing. Today, I simply need to pause and say thanks to Him. It is hard for me to assimilate all I have seen and experienced. I wish I could infect many with the virus of this enthusiasm. At the same time, perspective on what is really happening is needed. When my son passed away, and we walked through the valley of the shadow, there was no way we could accept lukewarm Christianity, any longer. When I visit other lands and see the power of God on display in ways it seems to lack in my own country, it is hard to want to remain here. So many have accepted the life pursuits where worship happens at the altar of materialism. In these other lands, there is no such foolishness. They lack basic necessities of life, and are gospel poor. When they hear and receive the Word of God, their lives change. Not through material possessions, but through surrender. Their impact on those around them sometimes costs them their lives. Miracles still occur in those lands because the people will respond and believe. They pursue Christ, and love Him with abandon. Here, we seem to abandon Christ and pursue wealth. Suddenly, our economy tanks. Most of us wonder what will happen next. Most of us are impacted by this downturn, and begin to pray with new motivation. Still, our motivation lacks true purpose, if we are praying for our own well being and the preservation of our wealth. I do not wish to suffer anymore than anyone else. I don't enjoy doing without. I have seen those who do without, do so as a lifestyle, where they have never known the blessing of plenty. 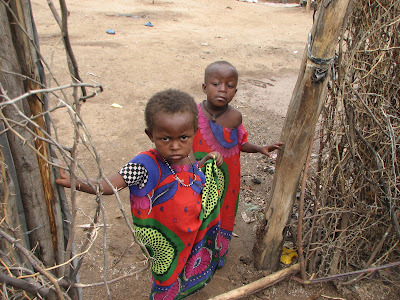 They often do not know where their next meal will come from or how they will be able to feed their own children. Have we been so rich for so long that we have forgotten what is really important? Will economic downturn really draw us back to what is important? Will a new connectedness to Christ based on money or the lack thereof, bring about the intimacy we need with Him? According to Scripture, when his people do not respond, He impacts their economy. When this does not get their attention, their ecology turns. And when that does not have the necessary impact, open war tends to break out. Are we not already seeing all three of these signs? How much worse do things need to get before we begin to honor Him as Savior and King? Are we really paying attention? It is time that we engage, and serve. He died that we might have life. Then He challenged us to make disciples of all nations, including this one. This commission did not just apply to the twelve. It does not just apply to preachers. It applies to us all. It is time we empty our hands of foolishness, and follow Him. Truly follow Him, pursuing His will and His Kingdom purposes, no matter the economic landscape. We must follow Him out of love and obedience, not some new external motivation, based on the hope of financial reward. It will only happen if we completely surrender. We can do without so much of what we have. We cannot do without Him. Neither can they. Traveling in Mexico with my four friends came with its own set of challenges. Most of them were language related. My translator was young, and had his own agenda, and a short attention span. This often found me having to dig deep for words I do not ordinarily remember or use. This is good for me, and challenges my language skills to grow. Our trip began as we pulled out of Nuevo Laredo around 5:30 in the morning on Monday. We began what I had been told would be anywhere from a 14 hour to a 18 hour drive. I was hoping for 14. I would soon find out, that with the stops we would make, even the latter guesstimate would fall short. We were blessed to be riding in a comfortable van that seated seven. The seats reclined, and allowed for better rest during the trip. My concern was that my young translator had only gotten two hours sleep the night before, and was expected to drive the entire distance. I rested anyway, and found myself revolving through periods of sleep. When I was awake, I drank in the countryside. There were many more mountain regions than I expected, and they were quite beautiful. After we had been driving through a desert region for quite some time, I noticed fewer and fewer buildings. I was not surprised, but did find myself wondering what one would do if they broke down out here. Conversations would begin and end with the bouts of sleep. Our driver remained strong and pressed on. At a point that I cannot particularly remember if we had been talking or quiet, suddenly we were interrupted by a very loud bang, from the back right of the van. Immediately, our ride became uneven, and we pulled off of the road. We had not seen buildings for long distances. I knew the tire had blown, and was hoping we had a spare! We climbed out of the vehicle and took turns looking at the shredded mass of rubber. When I looked up, I was struck by cruel irony, or amazing provision. Out in the middle of nowhere, we had come to rest in front of a small building with words painted acrossed it, that revealed to us that it was a tire business...well, was at one point. It was in poor condition and looked abandoned. I began to pray. As we walked up to the door, it suddenly opened, and gave way to a roly-poly little man whose shirt begged for less to cover. He greeted us and scurried over to the van to check out the situation. He headed back into his shop, which had no lights on and what seemed to be old tires sitting about. It looked more like a reclamation center for tires than one that would have replacements. No matter, there was a spare on the back of our van, just no tire jack or iron to set it free. Our rotund redeemer returned with blocks of wood, a hydraulic lift, and a tire iron, and he went to work. It had been raining as we moved into this area...curious for what seemed to be a desert...so he got filthy as he came to our rescue. I thought about the cruelty of the irony, had this building been abandoned. I thought about the almost unbelievable blessing and provision of an amazing God who was looking out for us! This could have ended, very badly. It could have consumed a great deal of our time, and chewed up potential ministry opportunities by delaying our arrival. Instead, we were on our way in forty five minutes. I was in awe of my God. I blamed my friend and contact, Pastor Nicolas Alba, for living well, and being the reason we rolled to a stop in front of the only place for miles, which also just happened to be exactly what we needed. I sensed God's hand on this, and knew He was revealing Himself to us, through this incredible provision! He would walk with us throughout! Our trip continued as we ventured into Tampico, where Anabel, my primary contact, was from. She directed us to a "Chinese Restaurant." All of my companions were excited to eat Chinese food. I couldn't help but wonder at availability of Chinese food in most of the countries I have visited. Then we proceeded to a thriving tire business, where we secured a replacement for our shredded flat. We would arrive in the wee hours of the next morning...nearly 20 hours from departure! We would wake later this same day in a land unlike any I had visited. It was jungle-like, mountainous, steep and seemingly, unforgiving. 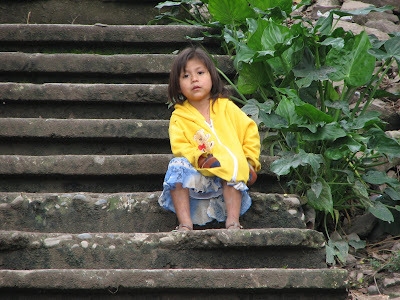 High in the mountains, live the Totonac Indians of Mexico. This was one of the few women who (knowingly) allowed me to take her picture. They are a shy people, and fear photos steal their soul. I am realizing how significantly blessed I have been to make these trips over the last month. I spent half the time in Mexico that I had in East Africa, but feel like I saw nearly as much. At the risk of scaring anyone off from ever wanting to travel with me, this journey also included much road time. I flew to Laredo, Texas on Sunday morning a week ago, and was picked up at the airport by friends from La Primera Iglesia Bautista (PIB), from Nuevo Laredo. We traveled across the border and the real journey began. This was my 5th trip to Nuevo Laredo. I have learned much Spanish over the last three years, with my trips here and to South America. I can speak enough to get by, but also just enough to encourage people to begin full out conversations with me, where I am quickly lost, and a bit embarrassed (if I had only learned more in my high school Spanish classes!). We were not in Nuevo Laredo long. I arrived in the afternoon, went to church that evening with my friends, spent the night with the Pastor and his family, and then got up at 4:15 the next morning to begin the long journey to the mountains of Veracruz, where we were scheduled to visit Cerro Grande, and La Cruz (don't bother looking them up on most maps...they are so small, they rarely show up...we were southeast of Tuxpan, and inland quite a ways). I am happy to report, my life was never in danger on this trip! Perhaps that makes for less exciting storytelling, but I am most grateful! I can likely sum up my journey in two or three days. This trip had less unknowns, going in. My friends from PIB have been working here several times annually for the last few years. They knew where we were going, how to get there, and did most all of the driving in a van, rather than a bus (PTL!). The hours in the van were very long (nearly 20 hours each way). As a boy, I did not want to travel. I was and still am a homebody. I like home, I like staying at home, and traveling to different countries has never been on my agenda of life goals. Still, the Lord knows the needs of my life, and how to cause me to confront my weaknesses. And how to best prepare me to be more useful to Him. I do not necessarily enjoy that aspect of these journeys. Still, I know it is necessary, and would not trade any of these, as I have seen Him work in ways I would not want to have missed. I am aware that He is changing me. I am aware that these changes are necessary. Loving and serving my King is what I want to do. In the next couple of days, I will tell you of my experiences with my friends from PIB (five of us traveled together), and the Totonac Indians. We are privileged to serve and be loved by an amazing God! 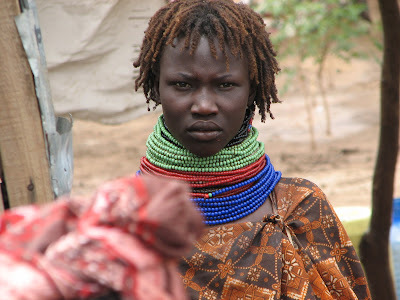 In Uganda and Kenya, among the Karamojong and Turkana people, the number of beads a woman wears around her neck signifies how high of a dowry price was paid for her hand in marriage. This price is usually paid in cattle. The more beads, the more expensive the bride. After a day of no travel, we had to rise very early on Saturday morning to catch a 4:00 am bus back to Mbale, where we would change buses and head to Kampala. A cultural difference worth noting is buses that leave in the wee hours of the morning do something special to be sure all passengers who intend to be passengers are present. The drivers cruise the streets of the village honking one of several horns mounted on the vehicle. The more obnoxious the horn, the more it is honked. It was difficult to deal with riding on the bus...I could not imagine trying to sleep through it at home in my bed. Anyway, we made the return trips to Mbale, then Kampala, which took 12 to 14 hours. On most bus trips we took, we had divine opportunities to talk about Christ. 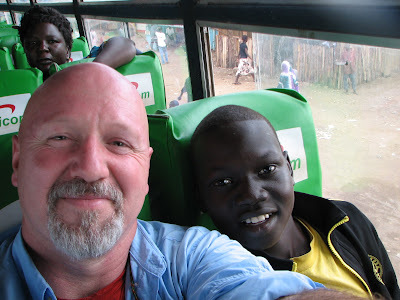 Michael led and Ethiopian refugee to Christ on the bus ride where my seat broke. How incredible that he was faithful and that God used that insane ride for His glory! One of my favorite memories of the trip was hearing Lopeyok talk about Jesus to different people seated around us! He wants very much to come to an American University to study communications when he finishes high school. He is 21, but in Uganda, your age doesn't matter as much with levels of education. Just going is what is important. Larry also shared the Gospel with those seated with him. I wish I knew their stories better and could share them in detail. Suffice it to say that these godly men, took advantage of the opportunities set before them. Our final evening in Uganda, was spent in the Mission Guest House, once again (as had our first night). Before we arrived though, the four of us hiked from the bus yard to Larry's favorite Italian restaurant for dinner. It was good to use our legs after so many hours and days on buses...even with full packs. This eatery was an outdoor garden, and was quite spectacular. Very unlike most of the places we had eaten on our journey up to this point. We ate way more than we should have (just catching up on missed meals), starting with pizza as an appetizer, and then moving on to main courses. I had Lasagna, and it was amazing...yes, Italian Lasagna in Kampala, Uganda! Sunday morning, we attended church. The worship was amazing!!! These precious souls completely poured themselves out in worship! I was inspired, and found myself asking my Savior for this to catch on in my own church. After services on Sunday, we had a bite at a thatch roofed restaurant, owned by Europeans. It is interesting to note that there are no American restaurants in Uganda, like you would find in many other foreign countries. We had made arrangements to get to the airport with some Christian brothers, but they did not show, so we found a taxi willing to transport us there. We had been told to arrive three and a half hours early for our flight. When we did, we discovered we were going to have to wait nearly an hour and a half to even go through security to get to the ticket desk. Initially annoyed, we went and had a seat where instructed. It would be just Michael and I traveling back to the USA. Shortly after being seated, a young woman approached. She was white. We didn't see that much in our time there, so it was already significant. She asked if we would watch her bags while she went to the restroom. Upon her return, she sat was preparing to sit down beside us. As she did so, she pulled out a book. Michael whispered so only I could hear, "she's reading "The Shack." What a great conversation starter! I asked how far she was into the book and what she thought. Her name was Emily and she had much to say. As she spoke it became immediately clear she was Australian. That is my favorite accent on the planet, and I found myself getting lost in her language. She was my daughters age, 23. She had come to Uganda some time before and was running an orphanage for a relief agency out of her country. She had significant responsibility for her age, and it sounded like things were going extremely well. She had a good sized staff that reported to her, and she was 'in charge' at 23. At some point during our discussion about the book she was reading, I pulled out a copy of our book, "I Would Die for You," and asked her if she would be willing to read it next. I told her briefly about it. She was quite enthused, and very thankful. She was a believer, and she quickly began to give God glory for this encounter. She said, "I wasn't going to leave for another month or so, but felt like I was supposed to go ahead and go. I am so glad I did, because I believe God wanted me to meet the two of you. I am so encouraged, and it is such a blessing to meet you!" The three of us went through security, ticketing, customs and then more waiting together. We worked our way thru the duty free shops and sat down for a cup of coffee together. Well, Michael had espresso, I had water, and I believe Emily did too. Anyway, it was a blessed way to end our time in Uganda. We had seen the Lord move, protect, provide and capture our hearts for these two nations of people. I saw so much more than I have written about. Some would break your hearts. Other would bring great joy. In all, I praise the Lord God for who He is and that He is Mighty to save! What an inspiring journey, and what an amazing Savior! Even the last leg of my flight home, from Detroit to Tulsa contained more divine encounters! Truly, my God is King!!! I am off to prepare for Mexico. I should return here on February 23rd. The future of the Tepez, Karamojong? 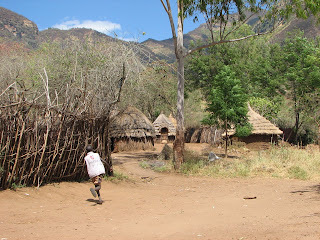 We passed through two Tepez villages above Moroto, at the base of the mountain rise. The children greeted us with great enthusiasm...well most of them. We headed on up out of the second village as we were told a couple recent stories from the losses of these people. Two days prior to our arrival, a young man was shot at the edge of the school compound. School was not in session at the time, and the area that it is nestled in serves as a dumping off point for several mountain trails. There is plenty of cover, outside of the clearing where the school and outbuildings are located. The reason for the shooting was unclear. 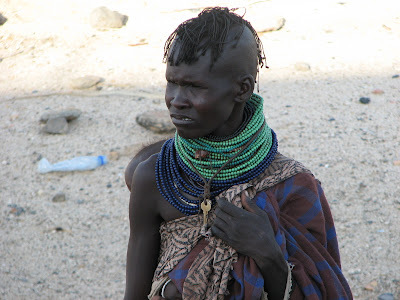 The Matheniko tribe of the Karamojong were people who lived loosely adjacent to the Tepez. Among the Karamojong, you go to war with your next door neighbor and are friends with the tribe just on the other side of your neighbor. Perhaps the shooting was retaliation for a severe tragedy that had happened before it. 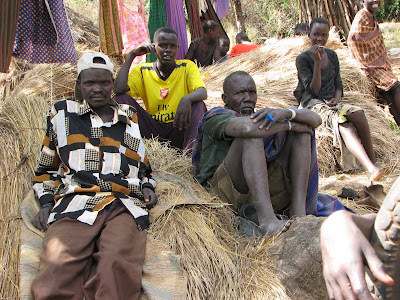 Among the Karamojong, getting drunk is part of their culture. It seems to happen daily. Three Matheniko young men, 15 to 16 years old, had gotten drunk and were out on a trail. They encountered three even younger Tepez girls. Whatever reasons motivate dark souls who are under the influence, two of these young men took their AK-47's and shot the girls, killing them. The outrage among the Tepez was understandable. The desires of their hearts were based on rage and centuries of tradition. They wanted revenge. They wanted blood. The difference now, from even a couple of years ago, is that the Army has a presence here. Somehow, these young men ended up in their custody. The Tepez tribe went to them to take these three. They battled with words and their grief was overwhelming. The pressure mounted on the soldiers. Surely they could understand the need for retribution. The ranking officer, called his superior back in Kampala, the capital city. After some discussion, the top commander told his subordinate to release the young men to the Tepez. The tribe seized these young men. They were taken from the army, and the two who had done the shooting, were shot and killed. 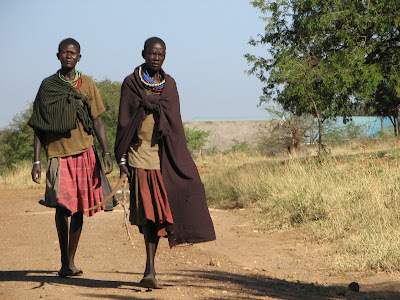 When the Karamojong kill, they leave the body where it falls. The third young man who was present but had not participated, was swarmed by the women of the tribe, they carried with them utensils used in cooking...forks, knives, etc. These became their weapons of opportunity. They thrust them into the third boy until he fell. Then they took large rocks and stoned him, and used boulders to crush his skull. Sadness, deep sadness coarsed quickly through my body. This was all so senseless. We stood in the center of the clearing. All was quiet. The story repeating in my mind. I took photos of the clearing, and of the surrounding landscapes. We had lingered quite a while. Lopeyok suddenly said, "There is someone over there." Our party at this point was comprised of the four of us...Larry, Micheal, Lopeyok, and me. Plus Locike (who had been shot through the leg years back and walks with a limp...the first Karamojong believer) and a couple of boys from the village. We all snapped to attention. Our senses heightened by the telling of the recent events. "I saw someone over there," came Lopeyok's next phrase. Someone said, "let's get out of here," and we turned to go. As we began, Lopeyok said, "Don't run, wait." He knew if we turned tail and headed out, that if those present intended harm, we would be seen as cowards, and shot. We reformed around Lopeyok. Larry said get the natives behind us (his implication was that the Matheniko had no quarrel with us Americans, and we could shield our friends). As we did, we saw lying in the grass about 50 yards away, partially obscured by a tree, a man wearing bright orange. He seemed to have his machine gun pointed at us! We talked a bit wildly for moments, while trying to remain calm! Lopeyok (who is at least 6'9") had a better vantage point than us dwarfs. He said, "I heard more people!" This was a time for prayer, for Holy Spirit speak on my behalf cause words fail me, prayer. We kept an eye on the supine man. We scanned the horizon and the many rock outcroppings for others. We saw none. Lopeyok seemed to have a sixth sense that the rest of us did not possess. Probably because he grew up here...and oh yeah, he was Matheniko. What was that going to do in our current situation? He was known by all in this region. He saw people in every Ugandan city he knew. He is gregarious, tall and quite the talker. If these were Matheniko, would they see him as a threat since he was basically alienated from his tribe and we were standing in Tepez territory? If these were Tepez, would they see him and Larry and realize we were not a threat? Tension was thick. Expectation and eyes racing along visible hiding places kept us busy. Peering around the corner of the school, seemingly as alarmed as we were, were several more natives. They were Tepez. Lopeyok called out to them. Within moments, our tension had turned to a minor euphoria. We all met midway and began to talk, laugh, shoot photos, and...this moment had just turned on a dime. Intense fear had given way to overwhelming peace. The man with laying in the grass was the last to join us. In this photo, he is standing to my left. We spent quite a bit of time here, getting to know these people and mostly I felt a tremendous sense of relief. I thanked the Lord over and over, for not allowing the moment to get out of hand. It could have so easily. Praise God who has all authority in heaven and earth! When we parted with them a teaching moment began. Larry told Lopeyok that of the three young men in the former story who had killed the three girls, that the one who did not participate paid the ultimate price, because he did not separate from the evil that was transpiring. Lopeyok had recently been kicked off of a basketball team because of the same reason. He had been hanging out with a crowd that made poor choices. He saw the lesson in this as clearly as the rest of us. I got an education this day. We all did. Mostly, I saw the peace and grace of Almighty God overcome my fear. Tomorrow will be my last writing for a week. I leave for the mountains of the State of Veracruz, Mexico (not the city) on Sunday and will be doing a set up trip. I will return on Friday evening of next week (Lord willing). I will be working with my contacts from Nuevo Laredo in some Indian villages, away from civilization. The two Karamajong men in the foreground had just experienced loss. As we neared Kitale from our long ride from Kakuma, Kenya, our prayers turned to making a connection of any sort from Kitale to the border. We were about to arrive at 3am, and were uncertain what we would find. In similar fashion to the Lord's provision throughout our time in East Africa, as we disembarked from the bus, I did not take two steps and there was a taxi (van) waiting for passengers heading to the border! At this ridiculous hour? I gave praise to my Lord!!! The taxi ride seemed long, as we made many stops to pick up anyone else that wanted to head our direction. There is an annoying habit here, of honking one of many horns mounted in each vehicle to alert potential passengers of arrival...especially in the wee hours of the morning, just in case you overslept! I've never heard such a symphony of unwelcome noise. We arrived in the border town after a couple of hours in the taxi. We quickly made our way to immigration to exit Kenya. We passed through with no issue. So did Lopeyok, without any photo id. We began the two or three block walk down the border lane to the Uganda immigration office. It was quite interesting to note the security in some areas, and the lack of attention paid in others. Just as we passed into Uganda, a line of pedestrian traffic met us coming the other way. However, these were not people. There was a line of cattle headed to the border, in single file, as if they did it everyday! I could not help but laugh. Farm animals here go wherever they wish. It is impossible to tell who owns them, most of the time. We headed into immigration to get our visa and begin our journey toward Moroto. Again we prayed for no issues, and again the Lord provided! We also asked for transportation mercy, that we might find a ride to Mbale to make an ultimate connection to Moroto. No problem for my God! When we exited the immigration office, a bus stood right in front of us. We asked the driver where he was going. "Do you have space for more?" we asked. "How many of you are there?" he questioned. "I have four seats left!" he responded. Wow! Why was I surprised? We made the hour trip to Mbale, and found a place to eat breakfast. We were unsure when a bus to Moroto might leave. We didn't worry about it over breakfast. It was relaxing to be in a real chair! After we ate, we headed out, turned a corner and were at the bus park. We walked up and asked for a bus to Moroto. "It leaves in half and hour," came the response. We boarded and began our long journey to Moroto. This would be the back way there, according to Larry. "The scenic way," he told us. The scenery was beautiful. Mountains, bush, wild animals...amazing! When we crossed into Karamoja, our bus broke down. We had already experienced two other bus breakdowns on previous days rides, so this was not a surprise. It took the mechanic on board around and hour or two to clean and rebuild the master cylinder and reinstall it. All one could do was wait. The bush was hot and the sun intense! Once we finally got going again, I remember two things. A family of Baboons crossed the road in front of us. There were probably 15 or so. Larry looked at me and said, "Did you hear that? That was gunfire!" I already had my head out the window looking for any sign of trouble. I saw none. We were not hit. We kept going. And yes, I pulled my head back inside...that wasn't very smart, I guess. We stopped in several Karamajong villages en route to Moroto. We ascended higher and higher into the mountains. My excitement grew. I was tired of being on buses, and just wanted to be there. On the way up, we passed some villages we were told were army. These were new since Larry had lived here. The army is trying to disarm the Karamajong, who are cattle herders and rustlers. They carry AK-47's and frequently battle with each other to gain more cattle. The government has sent the army in to try and change this culture. The army villages did not differ much from the Karamajong villages. The outside observer may not be able to tell them apart. We arrived in Moroto around dark. This was territory Larry was familiar with. We had dinner together. Poshe (boiled cornbread which tastes like grits), Matoke (a banana concoction that looks like mashed potatoes and has ground nuts sprinkled on top), brown rice and meat. It was delicious! I was never so glad to be somewhere other than a bus. We stepped out of the restaurant and there sat a friend of Larry's in an SUV. He took us a couple of kilometers up the road to a hotel. We settled in, shared a cup of coffee together (coffee is grown in the highlands) and headed off to bed. I rose in the morning, anxious for my time with the Lord and a steaming cup of coffee. I headed out to the garden area where it was waiting for me. As I studied and wrote in my journal, native music was playing from the kitchen where I heard a women singing along. It was perfect! This day, would be void of travel! In all, I was gone 10 days and this would be the only day we did travel. Each days journey averaged around 14 hours. After breakfast we headed back into Moroto to take care of some things. I was struck by how it appeared I was walking through a National Geographic magazine photo shoot. I had never been anywhere quite like this. Clay ovens were being tended by the women. Children were running between the mud and thatch huts, exclaiming with glee. Our arrival caused quite a stir. They do not get white visitors, and many knew Larry. There was a group of teen young men playing cards by a fire. As I walked near a hut, a child ran from me screaming as all onlookers laughed. She had never seen a white man. As I walked about shooting pictures, I was suddenly struck by the fact that Larry had sat down among the men, and he was intently telling a story. The noise level was high. Many conversations were happening simultaneously, and the children were making much noise over having their pictures taken. Larry remained focused. I moved in closer as I shot pictures of a man with a heavily wrinkled face beside a tree with similar bark. Larry was telling the story of David losing his son. He was telling the men that David said, his son could not return to him, but he could go to his son, one day. Suddenly he was finished and he looked up at me and told me, these two men have suffered loss. 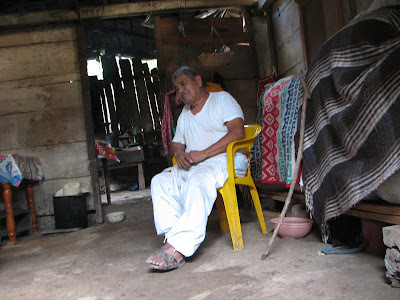 (In the photo above, the two men in the foreground are father and son) The older man's wife, the mother of the younger, had just passed away. Larry asked me to pray for them. I was honored. I moved around the circle to get close to the father. Under his foot was a machete. I bent over and ran my finger over it's terribly sharp blade. I was reminded of how similar their pain was. As our prayer began, a hush fell over the entire village. Suddenly, the quiet was deafening. The Holy Spirit had been ushered into this moment. The pain these two men were experiencing was uncovered before a Mighty God. The desperate need for healing of their extreme hurt was realized by all. After saying "Amen," I was struck by contrasts. The presence of the Lord had overwhelmed our moments with quiet. The hush remained for several moments after finishing the prayer time. 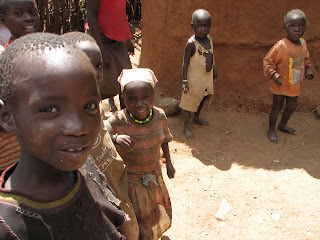 I looked around at dark skinned Karamajong people in a rural setting where white people had just intruded. We had been welcomed most openly, but the acute sense of pain these two felt, overwhelmed my senses. I had to be dismissed. I wiped my eyes and retreated behind my camera. The din slowly returned, and I thanked the Lord for such intense moments of ministry. Who would believe what had just occurred? We headed out of this village to a clearing where a school had been set up. Here, though we did not know it yet, our very lives would once again be in danger. Somewhere around 4pm on the day we visited the Somali Bantu refugee camp, we had to board the bus to head back south. Our plan was to go to Jinja, Uganda to spend a couple of days relaxing after our significant travel experiences. The headwaters of the Nile river are here, and the idea of exploring them seemed refreshing. We boarded the bus. The crazy thing was, we really wanted to go to Moroto, Uganda, which ironically, was just over the mountains from where we were. However, we were told there was no safe route to get through. So, we headed due south...back over the roads we nearly died on. We had intentionally gone to the bus depot first thing in the morning to get the best seats we could. Mission accomplished! Most of the trip south, my seat partner was Elijah (pictured above). You say his name like the first part of "allegia"-nce, in the word allegiance. He boarded the bus with an ear to ear grin. He immediately began shaking hands as he moved down the aisle, while saying, "Good afternoon, I am greeting you." He is 15 years old, and his voice remains untouched by puberty. He speaks with strict African-British diction. Every word very clearly articulated. When he sat down next to me, my spirit quickened! I was enthused to have such a polite and well spoken young man seated next to me...perhaps I would survive this trip after all! 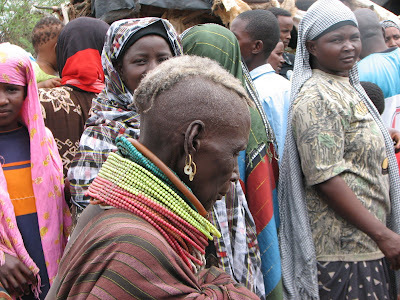 By the time we pushed out of Lodwar, we were in full conversation mode. His parents still live in the Sudan. His father had been a teacher, but the schools have disappeared with the youth of Sudan. His father has begun to herd cattle to make a living. Elijah lives at a refugee camp in Kenya. I believe the name is Lakura, but I am unsure. He lives there with his older sister and brother. His sister(19) also in school, does the cooking. He has a younger brother who lives with his parents still. He has had two siblings pass away. One brother and one sister. Elijah is no stranger to the tragedies of life. I brought up my own family, and he wanted to see pictures. He was very curious. I told him about us in fairly brief fashion. We talked about Jesus, too. We spent quite awhile discussing what being a "Christian" really meant. His parents had brought him up Christian. He struggled with some of the cultural norms from his country that he was unsure how to deal with. For example, his father has two wives. I asked what city they lived in. He corrected me. "Brent, it is not a city, it is a small village. My father has two wives living in different homes in the same village." He was unsure what to do with that. We discussed it for some time and talked about what the Word of God said, and what it reflected in this area. His thirst for knowledge was apparent. He spoke at least three different languages. Swahili for Kenya, English and his native tongue. He had a strong command of the English language, and speaks better than I do. We laughed, we spoke seriously of difficult times, we shared food and got to know each other. This was a very long bus ride. When I offered him some of my trail mix, he initially accepted. After tasting it, he was hooked! He said, "there is something sweet." I told him that it was a mix of nuts and raisins, and the raisins were the sweet flavor he had detected. I left the bag open, and he visited frequently. After our initial flurry of conversation, things got quiet, and the light of day vanished. We were back in the bush, where no electricity powers light, so the darkness was deep. Every once in awhile I would catch a glimpse of his brilliant white teeth. [side note: in Eastern Africa, their is a bush that the locals use to whiten their teeth. They break off stems of it, when its present, or buy it in the market. They take this stick and begin rubbing it on each tooth. They look like they are flossing with it, as they go deep into each crevice. In one encounter that I did not completely understand until later, a man approached me and said, "sir, what are we going to do about your teeth?!" After a long quiet pause, Elijah broke the stillness of the night. "Brent, you know that I am a Christian, right?" he queried. "Yes, Elijah, I know that you love Jesus." "Brent, do you think perhaps you could be part of the answer to my prayers? I have been a Christian for a long time, and I want to grow closer to Jesus as you have said, but I do not have a Bible. Could you get me one?" Those words pressed in on me from every angle. I was overwhelmed in the moment. His question was not an unusual one. His belief (I would find out later) was that I was carrying some small New Testaments in my bag. My immediate reaction was to lead him in prayer. I had an immediate need for him to see that provision begins with prayer. However, he had already demonstrated that understanding. As I prayed with him, I was fully aware that the thin line Bible I had along was marked just like I liked it. Years ago, in a similar situation in Canada, I had given my Bible to a new believer. This was different. I could feel the weight of the world on him. It was as if the Lord was showing me that Elijah Ajaang was to be the Billy Graham of East Africa. 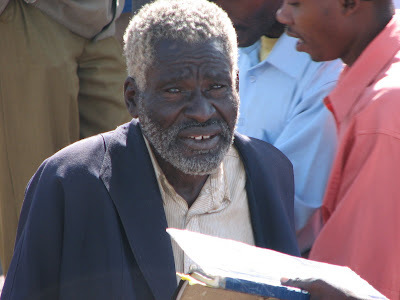 I could not wait to give him my Bible while simultaneously, I did not want to give it up. I preached from this Bible. I had all the passages underlined. I had it full of my obsessive notes. It was filled with BJ's writings! I knew just where to find everything after years of studying it! "Amen!" I said. I had asked the Lord to provide Elijah with the Word of God so that he could fulfill his calling. I stood in the most difficult part of the trip. The bus pitched back and forth and hugged the mountains edge. I pulled out my Bible, and unlatched a small flashlight from my pack. I sat down and pulled out all the unnecessary markers. I had quite a pile in my lap. Elijah looked on with interest. I tucked them under my leg on the bus seat and leaned into him. I began walking him through the Word. His attention was unwavering. When what must have seemed like forever to him, was over, I gave him the Bible and the flashlight. I told him that I believed the Lord wanted to use him to reach Eastern Africa, and that his study over the coming months and years was critical. I handed him a piece of me. He handled it like it was the most precious thing he had ever touched. He turned from page to page, he read, he asked questions, he flipped to the maps, he looked over the concordance, and then...he turned to an open page in the back, asked how to spell my name, and began to inscribe it. I said, "Elijah, let me show you something." I took it from him and showed him my name in gold lettering on the front. I showed him my family tree inside. I asked for permission to inscribe it myself. He seemed pleased. For much of the rest of our long journey, Elijah studied the Word of God. He leaned over to me at one point and said, "Brent, don't you want to take your sons writings from here?" "No, Elijah" I said, "I believe the Lord wants you to have those, to remember that he was your age when he passed, and that great things can happen through your obedient, young life!" "Oh Brent," he said, "thank you very much." I went so far as to tell Elijah that my journey had been long, and that I had wondered why the Lord had brought me to Kenya. I shared that I had a burning desire for the past couple of years to get here, without a clue why or what I was to do upon arrival. "Now I believe I understand, at least part of the reason," I said. "God sent me to Kenya to arm you with the Word of God, to prepare you for the future, Elijah!" I did not want to leave this young man. I wanted to adopt him. I wanted to follow him. I wanted to parent him. I wanted to disciple him. I wanted to meet the needs in his life. He was not mine. He belongs to the Lord and who has him on a journey, and is clearly looking out for him. When we parted, it was difficult but fulfilling! I saw him move to a seat closer to the front, and settle back in. My journey with Elijah was over. My prayer life on his behalf had only just begun. Larry, Michael, Lopeyok and I gathered in Kitale to find our next ride, at 3 in the morning. Once again, the Lord provided a seamless transition and off we went. I believe it was Michael who first said, "You know, I sure wish we were headed to Moroto." We began a discussion that pretty much was filled with, "we've been up the road to Kakuma and back, what else can happen? Why not head on to Moroto? It's farther, and we head due north again after crossing back into Uganda, but what the heck? I'd rather spend time with the Karamajong than boat the headwaters of the Nile, anyway." It was decided! We were going to spend all day this day, traveling to Moroto after spending the last 14 hours getting to where we were. No big deal, right? Our bodies would surely pay for this later, but for now, it was the right thing to do! We were off to Moroto...and we were just in Kitale, Kenya. More amazing adventure and Divine opportunities lie ahead. God would continue to meet our travel needs in amazing ways. We were on His time, doing His will and He was taking care of details in ways I have never before experienced! We arose the next morning filled with excitement, in hopes of visiting the Somali Bantu refugee camp. 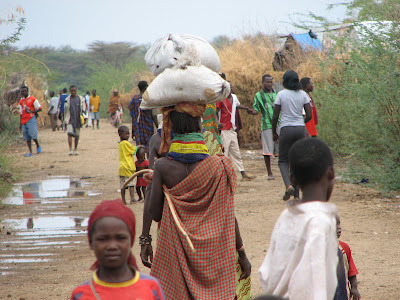 There are five refugee camps at Kakuma, Kenya, and we had been told to visit camp three. The refugees Larry works with back in San Antonio have family there. We had been asking the Lord for favor in being able to enter the camp. We had no idea what the procedure would be to enter, but were anxious to find out. At breakfast we learned the police had been looking for us. As soon as we finished eating, we walked down the main road and asked where to find the station. The village was bustling with activity. As usual, we were the only light skinned people to be seen. This brought us much attention from friendly people. We arrived at the police station, praying all the way there, for favor and God's man of peace to be visible. The chief was very friendly, and informed us we needed to speak to the camp manager to have permission to enter. He told us it would be difficult to arrange. He also said that since it had rained so much, we would struggle to find transport out there (the camp was several kilometers away) because the roads were very wet and muddy and only passable by four wheel drive vehicles. Under normal circumstances, it would have been possible to find a taxi. We left the police station. As we did, we passed by a small enclosure, about half the size of a railway car. It was filled with men. It was Kakuma's jail. Each of them called out to us. Some taunted, some wanted something...we kept walking. We found a church nearby and spoke to a man on the grounds, asking for directions to the camp manager. He suggested we try the UN facility across the street. We headed down the dirt lane to the guard house. When we arrived, there was a guard and two men standing there. We told them we needed to see the camp manager for permission to enter camp three. One of the young men, I discovered through conversation, was the brother of one of the refugees in San Antonio! I quickly told Larry who began to share with Hamud about how his sister and the children were doing. We soon found out that his wife was also in the US, but he had not yet been granted access. Hamud was our 'man of peace.' He took us on a long walk the other direction to the camp manager's office. We got acquainted on the hike. Upon arrival to the manager's offices, we were escorted to the deputy manager. He emptied his office of the people he had been meeting with and invited us in. We felt bad that we had interrupted, but this was apparently, business as usual. We sat and told the deputy of our journey, our connection, and desire to enter camp three. He informed us the manager was away at other meetings, but picked up his phone and called him. He was told the manager was nearby and coming to see us. We stepped out of his office as a white four wheel drive truck pulled up. Waiting around the offices were many refugees who needed the attention of this same man. He pushed past them to us and quickly invited us into his office. Again, we felt we were being given unfair attention compared to their needs, but were trusting the Lord for his provision for the purposes of our trip. He asked why we were there. Larry began to tell him our story. He was moved at all we had encountered and the long journey we had made. He began rearranging his schedule. In fact, he diverted to the office when en route to another meeting, just to meet with us. We were clearly experiencing God's favor! He told us he could not accompany us, but would send us with his deputy in his own vehicle! We piled into the truck. Fortunately it was a four door truck, and all five of us squeezed in. Hamud jumped in the back, and off we went. It quickly became evident that our deputy did not spend much time actually at the camps. 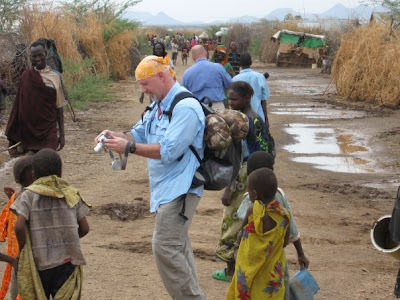 On the way, we learned that camp four was where we needed to go to meet the head of the Somali Bantu people, that Larry needed to connect with. Our deputy got stuck multiple times in the miry mud. I don't think he had ever driven one of these vehicles in these conditions before. The three of us offered advice, and finally, unable to move from a position, he yielded the wheel to Larry to get us out! We were back on the road, er muddy trail. Our deputy kept asking another young man who came along for directions. Clearly, he had not been out here much. We finally arrived and began to walk the narrow lanes of the camp. We were greeted by many children and families. Larry pulled out pictures of the Somalis in Texas and we made fast in roads with these people! We were invited into a home for a drink and a time to share. We removed our shoes and stepped onto the floor mat. The dirt floor was swept neatly. We sat on the mattresses they would sleep on. The home was approximately 10 x 12. This was their entire living space. The house was made of mud or adobe. Outside the front door, was a small yard with other stick built out buildings. One for using the restroom, and others for storage of various types. They were anxious to receive word and see pictures. They were also ready to have their own taken, so we could let their families in San Antonio see them. We met many people. We asked for the main man, and were led down the lane. We were told they thought he was at a meeting in town, and we would not see him. This was disappointing news. This was our primary connection. Another UN vehicle passed by us. Hamud got very excited and started yelling! He told us the man we were seeking was in that truck. We chased it down with much hollering and hand waving! We ran over to it, and Larry stepped up to the window. The man quickly unloaded from the truck and began looking at photos and having his picture taken with Larry. This moment was priceless! Any sooner or later, and we would have completely missed this opportunity! God had us walk by that truck at just the right time for Hamud to make the i.d. and connect us! We were certainly experiencing the favor of our Savior, amid a Muslim people group. He was opening doors, and we were most thankful! After meeting him, we negotiated our way through the village. We met many grateful people, and took many pictures. Michael and I had our cameras out the entire time, so the we became like "pied pipers" to the children. They loved this interaction! They had never seen their faces in digital before, and we extremely excited. The crush of children became overwhelming at times. Their need was significant. Their loving way, humbling. Once, a very small toddler came up to me at the prompting of the other children to have her picture made. In an instant, the other children pushed forward. She was knocked to the ground and being crushed under foot before anyone even realized. Her screaming was drowned out by the joyful laughter of the others. I quickly cleared the others from on top of her, and scooped into my arms! Her wails became audible, once she got out from under the others! My heart broke for her. 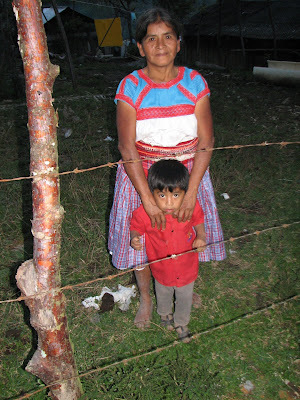 As with most children, once out from the danger, she was fine, and rejoined her family. We had been fortunate that an overcast sky had welcomed us to the camps. When the sun broke through, the heat was unbelievable. I quickly realized I was dehydrated, and tried to get away from the crush of people to gather a drink. My water was heated by the day, but still felt good draining down my parched throat. Our time was running out. We expected the deputy back to pick us up, but he was not there. We began to call, and learned he was "on his way." We waited. He did not show. We saw another UN vehicle coming. We flagged it down. The willing driver gladly transported us back to Kakuma! We called the deputy back, who assured us he was leaving, and let him know not to come. We arrived back in time to get a cold bottle of water and have a rest. We had purchased our return bus tickets in the morning, in hopes of not having to sit near the back. We insisted on seats near the front, with a somewhat amused ticket clerk. My time in Kakuma was coming to an end. My bus would be leaving soon. I sat and counted the cost of the long, hard journey, the joy filled day we had with the refugees, the favor we had received from the Lord at every turn, and still wondered what the specific reason(s) might be for why God had called me to Kenya. I tried not to dwell on this thought. I did not want to be so caught up in the why, that I missed the moments of opportunity. I would not have to wait long. The Lord was about to move. I was about to have clear understanding of at least part of the reason I was here. As the bus driver neared, a young lady midway up in the bus, turned and looked at me. She offered me her seat. She had offered it before. Previously, I did not think it right to accept her offer. Now, Lopeyok would speak out. "Brent, she is offering her seat. If I were you, I would take it!" He knew I was suffering, and in need of a break. I felt funny doing so, but I decided to switch with this young woman. My hope was that further up in the bus, meant a less violent ride. She moved to the back and I went up and sat between Melcy and her 13 year old daughter. In peering back on occasion, it became quite evident that the young woman who yielded her seat had an additional motive. She wanted to get to know Lopeyok. Later. when I brought this up to him, he agreed. They had exchanged numbers and info. The ride from this point to Lodwar, Kenya, was far more tolerable. It was still a ride that shook your insides with force, but it was not as bad as the back of the bus. I began to get to know Melcy and her daughter. She was a business woman who lived at Mt. Kenya, but made the three day bus trip to Lodwar to set up shop for extended periods. I did not know it at the time, but later I would learn how much product she had packed into this bus. She spoke of her daughter next to me, who had survived a severe illness. She spoke of her other children, who were with family. I talked to her about the love of our Heavenly Father. How much He cared and desired that we be in personal relationship with Him. She listened but seemed not to want to talk about this. We were silent for quite a while, then she would occasionally bring up a topic. I tried talking to her daughter, but she struggled to understand my English, as I don't speak with the clear diction they do. I had to learn over the few days that if I wanted to be understood, I could not be lazy with my words, but must clearly articulate each syllable. We arrived at Lodwar, and this was their stop. She asked me to help her unload their gear. I rose to begin the process. I grabbed a couple of bags and gladly headed for the door. We had been on this bus for nearly 12 hours. When I got outside, she asked me to remain with her bags and boxes. I agreed, while she went back to retrieve more. Boy, did she have more! I don't know how early she arrived to get it all stowed in the nooks and cranny's of this bus, but it explained why I struggled to find room for my own bag. Michael and Larry were each involved bringing her boxes forward. Lopeyok was saying goodbye to his new seat partner. Melcy came to step off for the final time. When she did I offered my hand as the decline was steep. My hand was not enough, she fell flat on her back. Men rushed forward to assist me in picking her up. She was no worse for the wear. What happened next made me wonder if it had happened on purpose. She asked for my contact info. I gave her my business card and told her this was the best way to reach me. She began to weep and asked if she would ever see me again. I was taken off guard, and blankly offered that I would be coming back through Lodwar the following day, but would not likely see her...it was a big village. I gave her a hug goodbye as another man asked for my business card. I smiled and said, "I'm sorry, I don't even know who you are." Perhaps that seems harsh, but I have had others from this country seek our (Awe Star Ministries) assistance to get to the US. The bus pulled up a hundred yards, then made all of us get off. We were told we had to change buses for the final leg to Kakuma. I was glad to change bus drivers! But when we got on the next bus, the only open seat was next to a man right down front, by the door (my favorite spot). He told me the seat was taken and I moved on back. This bus was standing room only and we still had an hour or two to go. As I prayed, God must have moved his heart. He called back to me, and gave me the spot. Another man of peace rises to the forefront! I began to speak to him. He was from Kakuma and did business there. As a matter of fact, he was the bus administrator. I knew it was going to be near midnight when we arrived, and we had no place to sleep. I asked if he knew a place to rest for the night. He began to open up to me, and we talked about many things. He was a believer, and we talked about our Savior. This leg of the ride went quickly. Probably because of less vertical roads with less potholes and washboard erosion. We arrived in Kakuma just before the generators were shut down for the night. All would turn pitch black very soon. He walked my team a couple of blocks away to the Guest House. He met with the proprietor, and got us settled in. We parted for the evening, and he asked me to look him up the next day if I needed any further assistance. After stowing our gear for the night, the proprietor of the Guest House, walked us down the main road in hopes of finding food. It was not easy, and I was not fond of this midnight dinner trend, but we found a place. We barely had time to eat before being hurried out, as it was time to turn off the generators. I had never seen such an explosion of stars in the sky, as when there was not a twinkling light anywhere in sight. It was an unbelievable display! As we walked, we recounted the unusual day, bus ride, and thanked God we had made it to Kakuma! Michael and I shared a room this night. As we each crawled under our mosquito nets, we prayed together, thanking our Savior for delivering us through such a near death experience. We were in awe that we had arrived safely and that the Lord had even provided the men of peace, each step of the way, to get us to this place we could sleep. We could hardly wait for tomorrow! We were excited to get to the refugee camp! We did not believe the Lord had brought us sooo far, to find a closed door. Even so, we asked Him to show us the way. To reveal to us the men of peace who would assist us in getting to where we needed to be. We drifted off sleep with high hopes, and thankful hearts! I could hear Larry in the next room. He called his wife Terry and told her of our unbelievable day. I believe this was the first time I realized how truly serious all had been, for I knew Larry and his family had endured being shot at, and many other things in their time in Uganda. This really unnerved even him. God had protected us and prevailed over the enemies schemes. I was strengthened for a new day! This is my seat partner, Wakalut, for part of the trip to Kakuma, Kenya. We arose for breakfast early on Tuesday, packed our belongings and headed to find breakfast. This day we would eat in the dining hall of our hotel. We would have a welcome breakfast of eggs/omelettes, chipati bread, juice and coffee. It was quite delicious. After we ate, we headed out to the street to find transportation heading in the direction of Kitale, Kenya, where we hoped to catch a bus to Kakuma. Right outside of our door, we connected with a gentleman who took us just down the road to a van that was preparing to leave. We boarded, dickered over cost, then headed out to Kitale. Our trip there would be around a two hour drive. We were each filled wiht anticipation for the day. We were anxious to arrive at the refugee camps to see what the Lord had in store! Kitale was a bustling city. Perhaps it was market day. Whatever the reason, the streets were overflowing with people. As we had grown used to seeing, we were the only fair skinned ones among them. This tended to bring us additional attention. We quickly found a man of peace who escorted us to where the buses were boarding to head north. The crowds were body to body and pressing. Somewhere in this short walk, my sandals were stolen from my bag. We arrived at the bus heading our direction, as purchased seats. We boarded and sat where we were told. Later others would come and tell us we were in the wrong seats. We explained we had been seated here. The conductor came and showed us new seats...in the very back of the bus! None of us ever got into the right seats, as the conductor was making random decisions about where we would be. We were clustered in the very back where the gathering heat and stench resided. Wakalut sat to my left and by the window. I wanted it open. He wanted it closed. He won. He tried hard to communicate with me. He spoke a handful of English words, but Swahili was his language. I knew no Swahili. We struggled to communicate, but had several "aha!" moments where we connected. He was sweet and kind. The bus left after several delays, and we were almost immediately on dirt roads. These were not your ordinary dirt roads. These were lanes sometimes two cars wide, sometimes one. We were in an oversized bus, built for these conditions. Built for and maintained for, are two different things! The driver swerved from side to side to find the best road. As he did, I was tossed back and forth into Wakalut, one moment and then into Lopeyok the next. The reality was, we were crammed body to body, so tossed is a bit of a misnomer. More like thrust. There were six of us pushed into the back row of seats which may have seated five comfortably. I wanted the window open for some air. The air I got was stale and lingering. The ride began to increase in bumpy intensity. Occassionally, I would try to look outside to see if he was intentionally hitting all of the bumps. From where I sat, that was a futile effort. I watched as the people in front and around me bounced up and down with increasing intensity. I began to think of rides at Kings Island or some other theme park, where the intent was to unnerve and separate you from your lunch. This was the prototype for that ride. I was dislodged from my seat repeatedly. I tried to remain calm and focus on the bush scenery. It was beautiful! I could see mountains in drawing nearer. I love the mountains...that was a calming thought. The mountains are my "happy place"...well, at least they used to be. I began to pray and sing hymns. My own hymns, with words about salvation from the foolishness of men. I am not kidding. These roads were terrible. I have a mountain bike and love riding off road down steep hills with washboard texture. The kind that make you rattle like a machine gun when you hold your voice at a steady, uuuuhhhhhhhhhh. This was no machine gun ride, I was experiencing a rapid fire cannon. I was forced up near the ceiling repeatedly. There was more room up there, but no way to stay put. The mountains drew nearer, and as we began to ascend, our speed decreased. Whew, at least I could catch my breath...I thought. It was not an intelligent thought. It was a desperation thought. As we climbed, our driver saw another bus ahead. Our driver was competetive. He went into "I must win at all costs," mode. He picked off the bus ahead by traveling at a much higher rate of speed than was safe. Safety was far from his mind. He was hurdling us up and down mountain passes where no guardrails reside. He forced the other bus off of the road at every opportunity. Somewhere along here, my seat back broke. First from one weld on my right. It exposed a jagged metal hook that began to taunt with my flesh. I repositioned the seat back repeatedly trying to protect myself. It was no use, we were pitching back and forth on this mountain road and pushing beyond 45 degree angles, which had us staring down the mountainside to certain death if we began to roll. I thought about my family. I prayed. I sang Hymns. I was fired from a cannon one final time which broke the other weld on my seat. My rise eclipsed near the ceiling one final time before my body came crashing down on the newly broken weld. It shredded my pants and flesh. I was bleeding and could feel the gouge of newly separated skin on my upper left backside. I must have let out some crescendo of expressiveness, because suddenly everyone from midway back on the bus was staring at me. I made a decision. I was done trying to sit. I rose to my feet, moved a ways up the aisle and held onto ceiling bars for dear life. I pressed my eyes shut in prayer and song. I did not believe I would see home again. This driver was out of control, and so was this experience. There was nothing anyone could do. This was Africa. No standards for safety were expected, as evidenced by the overcrowding of every vehicle I road in. Perhaps I was overreacting. I looked at Michael and Larry. The looks on their faces echoed my own. We excpected to soon be a statistic. The urge of "fight or flight" would be useless in this scenario, as it seemed both ended at the same doorstep. I implored my God to give me peace. I urged Him that He was in control and begged that He keep us safe. Watching that other bus nearly get run over the edge by our driver was too much to bear. He had no respect for life. As I stood I began to watch a family in front of me. The distraction was momentary and only added to my disbelief. Their seat too, was being separated from its welds. Slowly it pitched toward the center ailse dumping the women and children to floor level, with nowhere to go. The seat crushed the plastic paint buckets they had brought on, to paint their home. We all wore that white paint. Many hours later, we reached a stopping point, where the driver went to relieve himself. I saw a sign with a pointing arrow that read, "Ministry of Highways and Roads." I wanted to go tell them their ministry was a miserable failure! While stopped, the father of the family cast to the floor, went to the police to complain. He let them know of our numerous requests that the driver slow down and take more care. His relentless pursuit of self indulging speed had cost his family. The police hauled him to the station. We sat and wondered if we were now stranded. I spent a great deal of time in prayer. I thanked the Lord for somehow keeping us on the mountain when the physics of our ride would suggest that as an impossibility. The times we rode at 45 degree angles and beyond were too numerous to count. Only God's hand kept the tires on the road. My God has all authority! He is in control, and kept us safe. What the enemy intends for harm, the Lord will use to strengthen His people. Oh no, here comes the bus driver. He looks angry! What would happen next? At this point, I wanted to be a reader of this episode, not a rider. I vowed to never pay to experience another thrill ride at any theme park. I had experienced the ultimate, and by God's grace survived. I was thinking about printing t-shirts about surviving the road to Kakuma...only we weren't there, yet! What would this guy do next? My God is a God of compassion! 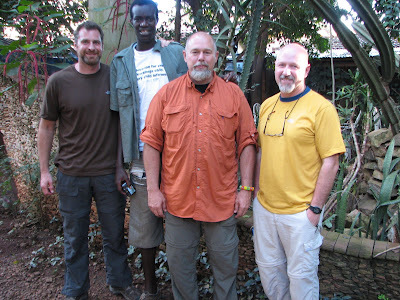 The four of us traveled together across Uganda and Kenya. We are Michael, Lopeyok (Larry's adopted Karamajong son), Larry and me. Before this trip across Eastern Africa, none of three of us Americans knew each other. Through calling, opportunity, prayer and fellowship, we drew close and saw the Lord do amazing things among us! We praised Him together, spoke of His great provision, and shared with the people we encountered, as opportunities presented. Now, I cannot imagine having done this trip without either of them! I have never done anything like this before. Set out across a foreign land with two men I did not know. I did not know how things would work out, or if they would. A great deal of trust and prayer went into this trek, on each of our parts. When we each arrived in Minneapolis, Mn., we got busy getting to know each other. 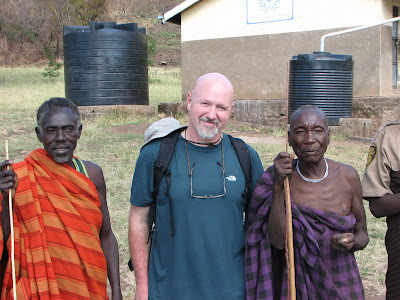 Larry had lived in Uganda for 10 years where he served as a missionary. Michael, had climbed Mt Kilimanjaro a couple of years back, but had not done much missions work before (his brother is the starting center for the SF 49ers). The question lingered, how would we gel? From Minnesota, we made our flights to Holland, then Uganda. Our seats were not together, so this did not lend to getting familiar. Upon arrival in Uganda, we awaited our only preset ride. The one from the Entebbe airport to the mission house in Kampala (the capital city). The ride to the house was around an hour long. Not because of distance, but because of poor roads, and indirect layout. We passed by the old Entebbe airport where the standoff with former leader Idi Amin had occurred. That old bullet riddled plane even still sat nearby. We arrived at the mission house, unpacked our gear, then sat down together to discuss the rest of the trip. The only hard plan we had was to begin our journey to Kakuma, Kenya the next day, where five refugee camps were settled. We were uncertain how long it would take, and figured it may consume our entire time. We expected that the trip there could be dangerous, as most of the NGO's had pulled out (we were told). That next day, we headed downtown to purchase our tickets on the Akamba busline. We boarded the bus and began our journey due west toward the city of Eldoret, Kenya, where we hope we would arrive in time to find a hotel, and sleep until the next morning to head north. In third world countries, one does not easily find connections with transportation. If those connections are made, they are seldom timely. We feared these timing issues could cause us long delays. We focused much prayer here, and later discovered, that many others did too. Across southern Uganda, we saw incredible beauty. Trees with Monkeys and Baboons sitting aloft, countryside with tea farms, and rice paddies. Huts with thatched roofs all across the land! Banana trees everywhere! We did not stop often, but when we did, immediately the bus would be surrounded with those who were selling water, cokes, meat, trinkets, and other wares. We would soon learn that if we wanted to eat on these long trips, we needed to do so from these peddlers. We were completely unsure what to expect with the border crossing. I had received word the day before we were supposed to embark on this trip to Africa, that we may have difficulty even getting into Uganda (potential visa issues). We came very close to canceling the trip due to this word. We felt that the Lord wanted us here, and decided to trust that He was going to make a way. We entered Uganda with no problem. Now to enter Kenya. What would happen? Would we be turned back? We arrived at the border. Much prayer had gone into this leg of the journey. We had prayed that "men of peace" would be easily identifiable each step of the way. We got off of the bus with all of the nationals, and headed to immigration. Upon arrival, a man came out and quickly swept us into the offices, though all others had to wait outside! He identified himself as the Uncle to our driver, and wanted to expedite our visa applications. He did not make us even fill out the forms! This is unheard of!!! We exited with Kenya visa's and did not fill out a single piece of paper to earn it. The other issue was that Lopeyok did not bring any identification with him. He forgot. When we reached the Uganda immigration exit. I began to pray in earnest for favor. He sheepishly approached the lady officer, who fired him a flirtatious grin. He began to offer up his story. "I need to get into Kenya, but I don't have my passport or any paperwork!" He came out of the office with all he needed!!! God had provided! It only cost $5.00 for his temporary papers! Now on the Kenya side, he would run into the same issue. His paperwork was valid, but no picture id. No matter, this was a small issue for a mighty God. He too was cleared in record time! On the remainder of the trip to Eldoret, the enemy would combat and fire new weapons of distraction. First, we hit a police blockade and were forced in the middle of the pitch black night to disembark, line up in two lines in front of the bus headlights, men and women, and proceeded to be questioned and frisked. Another hurdle passed! Once again, God delivered! Next, two young people who got on the bus at different places, who appeared not to know each other, were having relations in the bus seats in front of me. I was worried for the young woman. I did not know if she was being raped or if she was a willing participant. I prayed and tried to keep focused. Crazy scenarios ran through my mind. Should I intervene, or stay out? Should I protect her, or let this go. Suddenly, a father and young son, two seats ahead of me, rose. He escorted his son several rows behind me to sit. Apparently, he too realized what was happening. He returned to his seat with disgust. It is amazing how much you can discern from noises people make, though you cannot see a thing in the deep dark night. Ultimately, I discerned that the young woman was a willing participant in this unfortunate venue. We arrived in Eldoret, Kenya at 11:00pm. After asking questions, found our way to a hotel, left our gear, and headed out to find food. This time of night, we did not feel too safe. The guard from our hotel escorted us. We passed several closed restaurants before finding one. I chose to only eat Chipata bread, as our travel over the only paved roads we would experience, was still enough to leave my stomach unsettled. God had provided at each border crossing. He had prevailed in situations of frustration, and temptation. What would tomorrow hold? Would we find our way to Kakuma? Would the passage be safe? Would we be allowed into the refugee camps? I drifted off to sleep with these and many other questions on my mind. The morning light would reveal a new day with one of the most difficult challenges of my life. 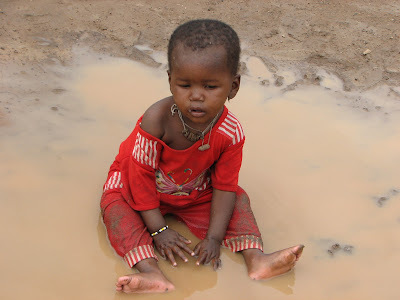 A Somali Bantu baby girl sits and wails...fearing others are ignorant of her plight? Wild! Wonderful! Terrifying! Filthy! Broken! Beautiful! Inspiring! Responsive! Hot! Intense! Expectation! and Hope! These are a few of the words that press the borders of my recent experiences in East Africa. I cannot believe all that I saw. I cannot believe everywhere the Lord extended me favor to enter. I cannot believe He privileged me to follow Him to these "ends of the the earth!" It is good I do not have to sum things up in short order, for it is likely to take far longer to express all that has occurred. To start, thank you all so much for your prayer support... both those who write here and those who do not... for because of your assaults on the throne of grace, we traveled great distances while experiencing great mercies! God has not forgotten about the darkness in Africa! I suppose He may wonder if we have. How great are the needs! How precious the people! 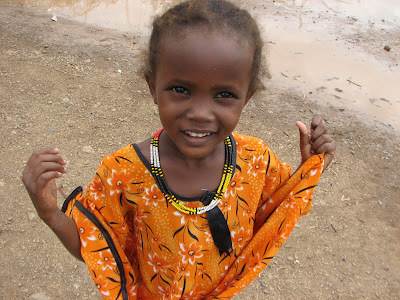 How beautiful the feet and faces of those who long to find significance in worlds afar. Untamed lands and souls are filled with desire for hope, but are unsure how to do so. Ridiculous realities are lived each day, by those who have no idea that things can be different. A momentary feast of attention paid to those who hunger for touch, seems to quench a lifetime of thirst. Joy overcomes dark brokenness in faces that explode into thanksgiving for moments of distraction from harsh reality. They do not know we care until we express it. They do not understand He cares, until we tell them. They do not understand the apparent significance of our distant prayers because they have never known our personal concern. To touch these people would save their lives for an instant, but then they are lost again, until they see that the Truth can bring revolution. They have never known the basic amenities that we take for granted, everyday. These lands are filled with beautiful people. My heart is full of their need. It so good to be back home. The joy I take in that comes at the expensive reality of the desperate need for the Gospel to be taken to a land that the enemy is overwhelming with lies. Experiencing simultaneous joy and grief is the "stuff" of what carrying burdens is about, I suppose. Please stay tuned for upcoming journeys into inspiration, brokenness, terror, and God's Amazing Grace!